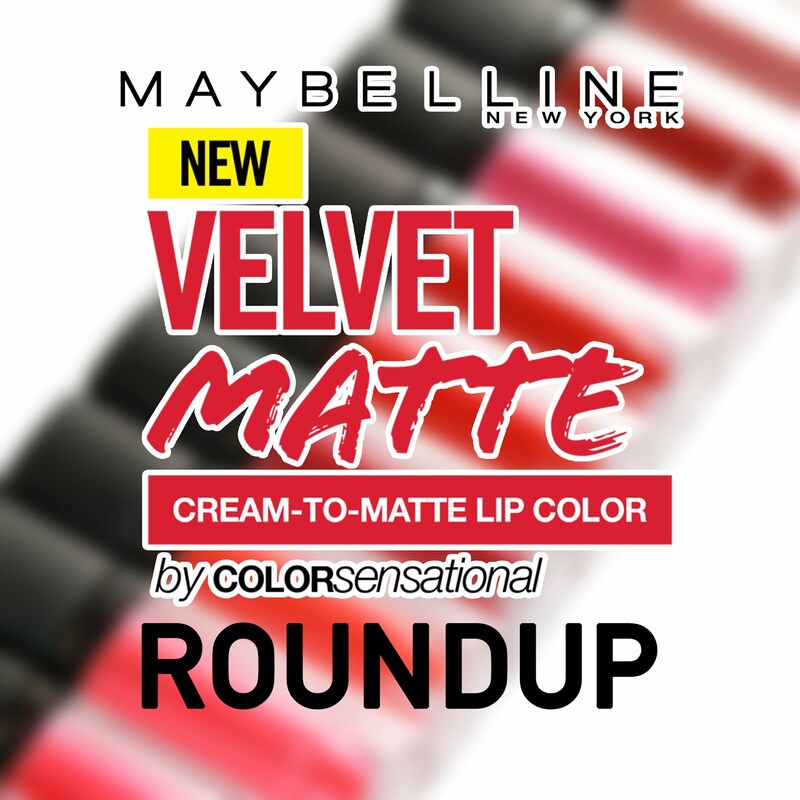 I think most of you have noticed by now that this whole week/ 9 days for that matter has been about each of Maybelline's Velvet Matte liquid lipsticks. I'm so happy that I was able to cover each and every one of them, so it's now time for the roundup! You may have seen the announcement about the launch of this product from awhile back. My personal verdict is that it's a product of its own. 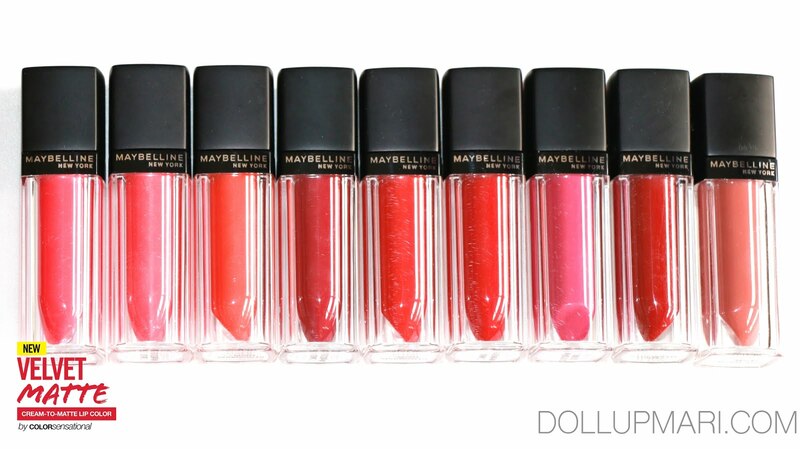 In fact, I won't call it a liquid lipstick. It behaves in a way that is new to consumers. 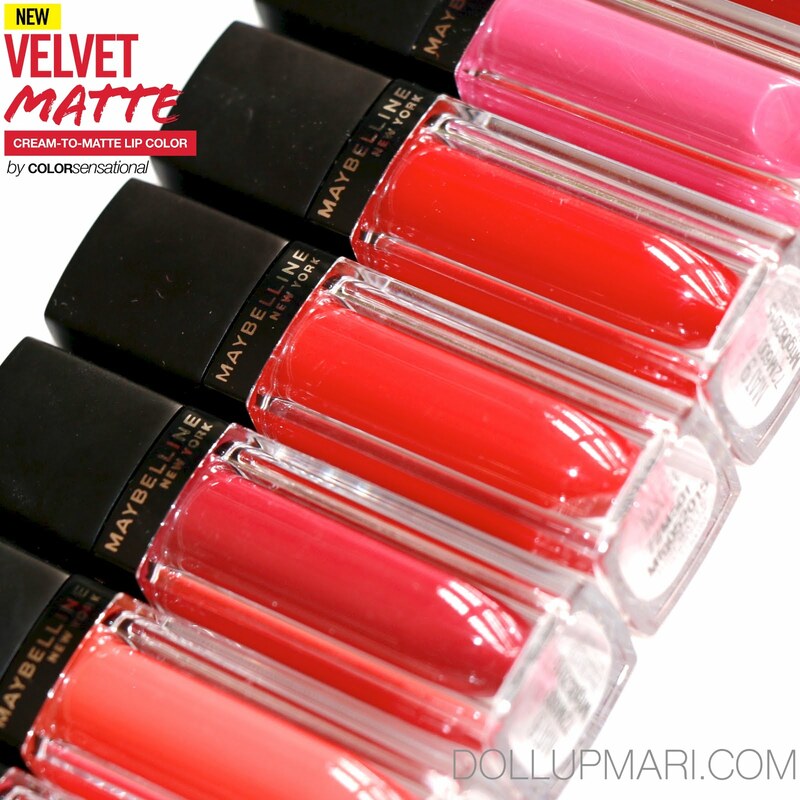 It's not like other liquid lipsticks that dry on the lips and cover the lips like a film. It never dries up. This means that it's much more comfortable to use than the usual. It never has that "OMG this liquid lipstick feels like a crumbly film on top of my lips OMG my lips are going to break" feeling. I'm so sorry I can't really express it better, but that's my personal feeling when I use other brands' liquid lipsticks. When I first tried these I knew that the blogosphere will have very differing opinions towards these because it behaves so differently. It doesn't dry up, so yeah, I know there will be people who will not like that because it transfers to other surfaces. This one feels like a thick, pigmented lipstick. It's also not that long lasting as the others. It transfers off faster than the ones that dry up, so it fades away faster. I know that there are people who look for extreme longevity as their main consideration when purchasing lip products like these, so yeah, this is not it. It's also not kiss proof. Buuuuut for people like me with extremely dry lips, I didn't care that I had to reapply this more often. I was just so happy that there was a matte option that didn't feel so drying. I was just so happy that it is easy to apply and easy to blend because it doesn't dry up. 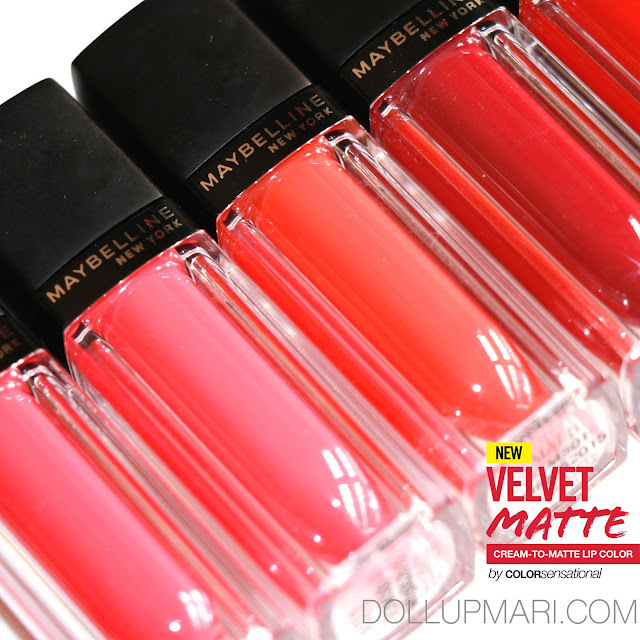 I have also heard feedback that people didn't like this because it was glossy and not matte. Initially, I also saw that it was glossy on me. 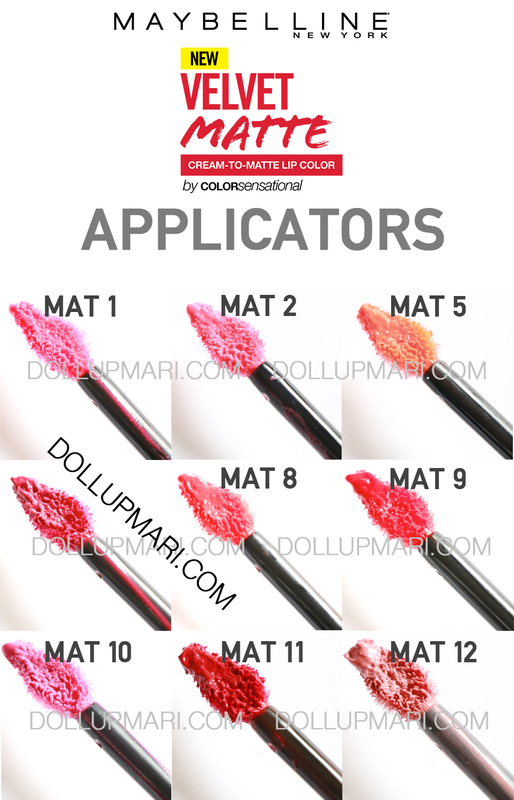 Until I figured that there is a "right" way to use the applicator to apply the product. One must have just a minimal amount in the doe foot applicator and use light strokes to apply it. And then one should use the applicator or a brush to spread the product. Once the product is spread out evenly, it's no longer glossy. Once one gets past the application method, this is a lovely product that people with dry lips will love. And to be honest, the color spectrum has a lot of vivid offerings that I'm sure everyone is bound to find something. 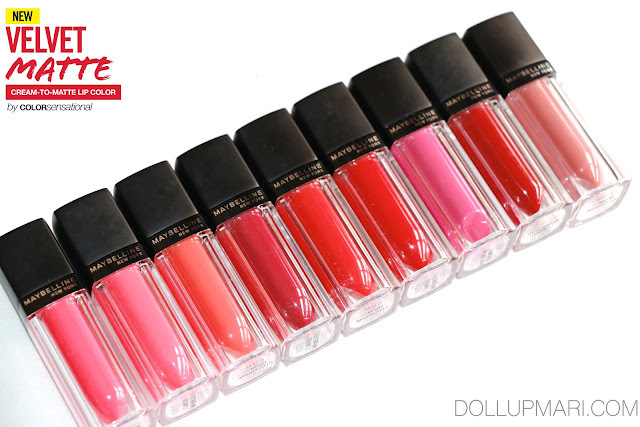 So as far as I am concerned with the Philippine market, we only have nine shades here... I did not see Mat 3, 4, and 7, so I'm guessing that either they don't exist or were not brought in. I tried googling around to see if these existed in other countries, but I wasn't able to find any. If you want to see everything at a glance here are the roundup photos!!! Here are the photos of the applicators. And then these are the product shots. 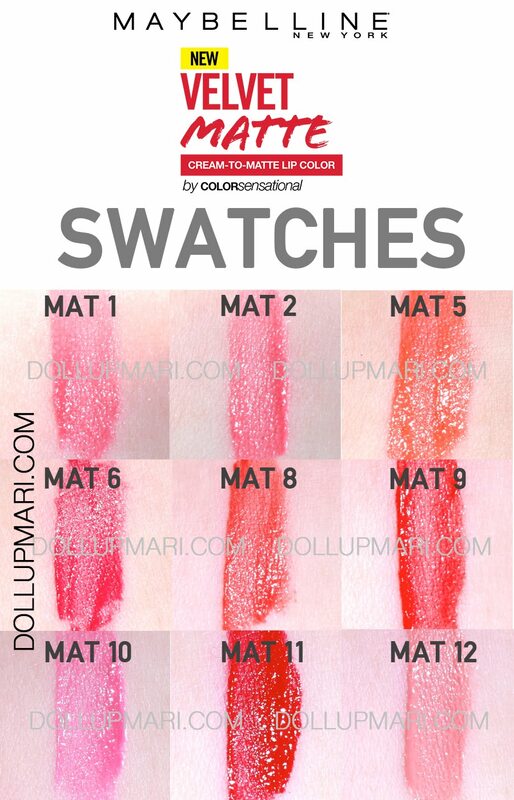 Here are the lip swatches.